The SAFOCO Diaphragm Actuator combines simplicity with ease of maintenance to provide an extraordinary value in a SSV actuator. Its operating principle and rugged design make this actuator inherently trouble-free. This diaphragm actuator design has eliminated the problems of downtime and added safety features vital to today’s customer requirements. This actuator is designed for most surface safety applications. 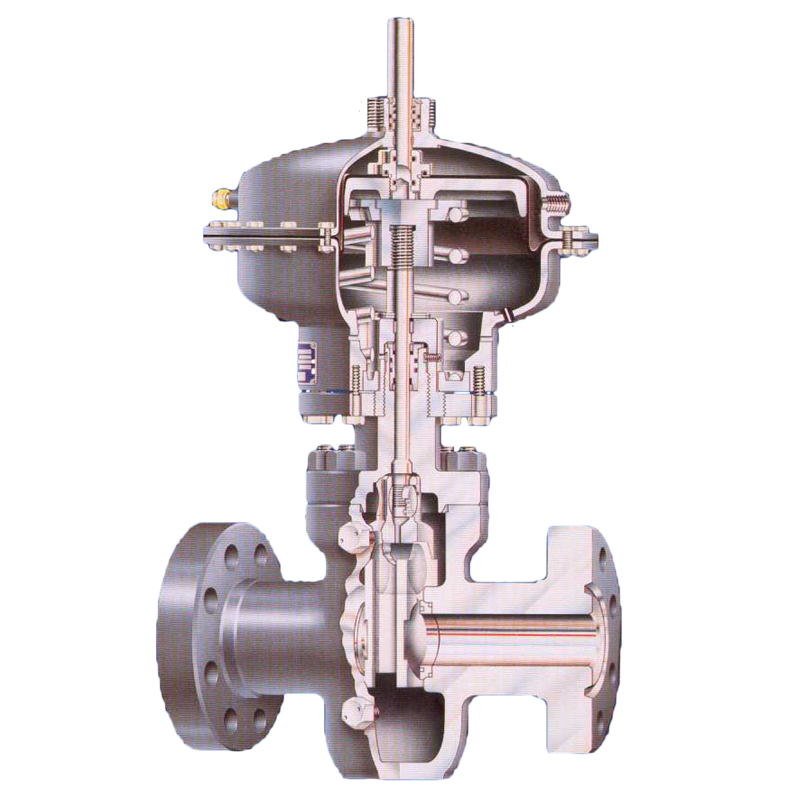 The SAFOCO Actuator utilizes the traditional diaphragm concept by eliminating galling, misalignment and distortion during operation. The close tolerance problem has been eliminated by providing wear bearings in the actuator and bonnet to suspend the top shaft and bonnet stem from contacting metal during operation. SAFOCO has designed into each model, series, and size of diaphragm actuator the industry’s strongest compression spring. This is important to ensure gate valve closure. No special tools are required when loading the compression spring. Ease of repair and service has been provided by designing the top seal cartridge so that it can be removed easily and quickly. To remove the actuator from the bonnet remove 8 hex head bolts with an adjustable wrench, then lift the actuator from the bonnet. SAFOCOS’ actuator philosophy emphasizes safety and reliability, compact and simple design, fast response time,easy maintenance, optional use of control pressure and quality in manufacture and service. 713-956-1595 | 9901 Regal Row, Houston, TX 77040 | Copyright 2017 Safoco Inc.